With their compact bodies and a diverse range of design, mirrorless interchangeable lens cameras have been evolving in their own unique way. To achieve a lens system corresponding to the cameras of the new era - shaped by such thoughts, the high- performance wide-angle lens for mirrorless interchangeable lens cameras offers Sigma's original innovation in a form that is more polished and refined than ever before. In order to maximize performance of mirrorless cameras, advanced optical technology is explored to achieve expressive performance worthy of Sigma's Art line. It is an ideal lens for casual snaps as well as indoor photography which benefits from its wide-angle of view. The high-performance wide-angle telephoto lens has an angle of view equivalent to 38mm on the Micro Four Thirds system and 28.5mm on the E-mount system (35mm equivalent focal length). As a wide-angle lens with excellent mobility, it is ideal for casual snaps as well as indoor photography which benefits from its wide angle of view. 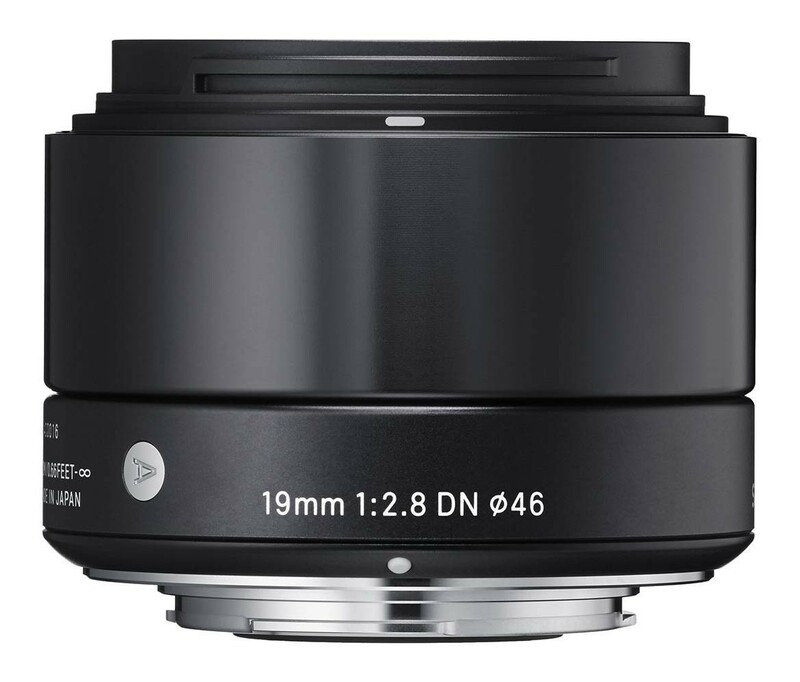 Currently comprising the SIGMA 19mm F2.8 DN wide-angle lens, the SIGMA 30mm F2.8 DN standard lens and the SIGMA 60mm F2.8 DN mid-range telephoto lens are expanding photographers' high-performance options for mirrorless interchangeable lens cameras. This lens features three glass mold aspherical lenses which provide excellent correction for distortion and field curvature. The inner focusing system corrects the fluctuation of aberration to maintain image quality regardless of the focusing position.. The maximum magnification is 1:7.4. Dimensions Diameter 60.8mm x Length 45.7mm / 2.4in. x 1.8in.